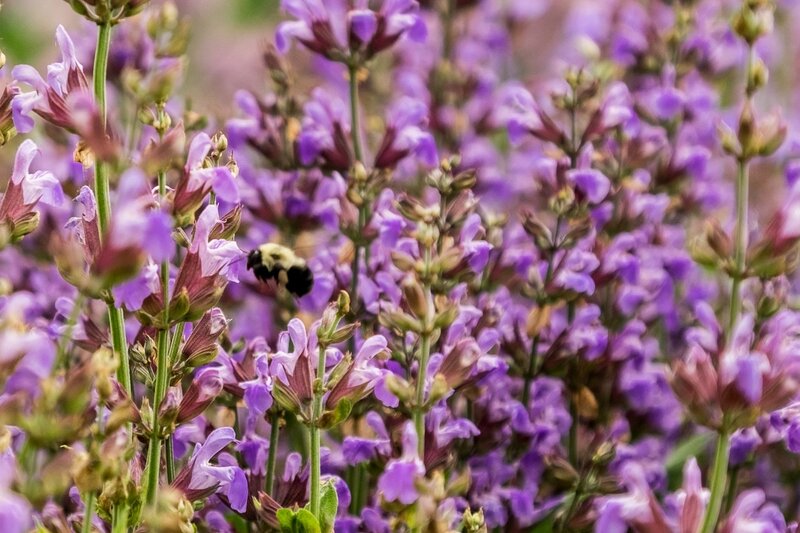 ​Aside from being beautiful and aromatic, herbs and flowers are great sources of food for bees and birds, especially when there's a continuous supply of blooms throughout the season. When choosing seeds, particularly so with the flowers, I'm selecting for attractive, unique and long-lasting varieties for customers and pollinators alike. With the herbs, I'm instead quite focused on culinary and/or medicinal value, knowing that many of these species are already so loved by the bees. The herbs and cut flowers (bouquets) can be purchased at our stand at the Midland Farmer's Markets, or can be purchased direct from the farm, upon special appointment.